In order to understand the benefits of custom orthotics, we need to understand the role that your feet play in your overall well being. Your feet are the foundation for your body, they have a direct impact on the rest of your body. Like the foundation of a house, your feet support the weight of everything above them. When a small problem develops in your feet, the subtle change in the way you walk will cause a chain reaction of adjustments in your posture and walking mechanics. These changes can put stress on joints higher up in your body, and lead to more serious problems. 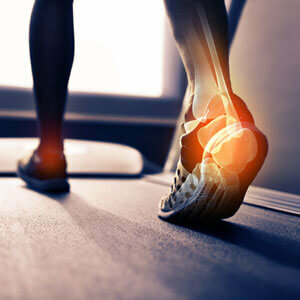 Custom orthotics can help alleviate the stress caused by those changes. I have been very satisfied with my orthotics and the care received. This is my second pair and I am positive they will be as comfortable and helpful as my first. The average person takes 8000 to 10,000 steps per day. Women have 4x as many foot problems as men – blame it on fancy, ill-fitting footwear. At Integrated Health & Wellness Centre, we provide properly fitted custom orthotics solutions in our North York and Richmond Hill locations. Our custom orthotics are biomechanical medical appliances constructed specifically to correct your foot mechanics, putting your body in balance. Our custom orthotics slip comfortably into your shoes and exert gentle pressure on your feet to bring them into the correct position for walking, running and standing. Aligning your body from the feet up restores your body’s balance, bringing relief from discomfort and fatigue. By stabilizing and balancing your feet, our orthotics enhance your body’s performance and efficiency, reduce pain, and contribute to your total body wellness. These measurements provide Dr. Karelis with a sophisticated explanation of foot mechanics and assists us with orthotic and/or shoe solutions. From the assessment tools such as GaitScan to custom orthotics, shoes and sandals, our products and services at Integrated Health & Wellness Centre are renowned for their innovative design, quality and comfort. 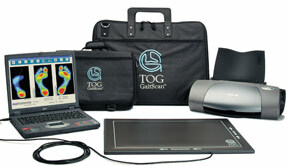 At Integrated Health & Wellness Centre, we utilize GaitScan, an innovative diagnostic tool and digital casting device that allows to analyze your foot biomechanics and order custom orthotic products. This technology assists Dr Karelis in analyzing your gait and detecting unusual foot function which may be affecting the rest of your body. It is important to understand that dysfunction in your feet can lead to problems up to your ankle, knees, hips, back, and even neck! My feet “toe out” when I walk. I had new orthotics made for me by Dr. Karelis of Integrated Health. Within two days of receiving the orthotics my pain was gone, and I am able to walk longer distances. I heartily recommend the orthotics made by Dr.Spyros Karelis. John F , Scarborough, On. Ready to find out if custom orthotics can help you? Contact our office to schedule an appointment.